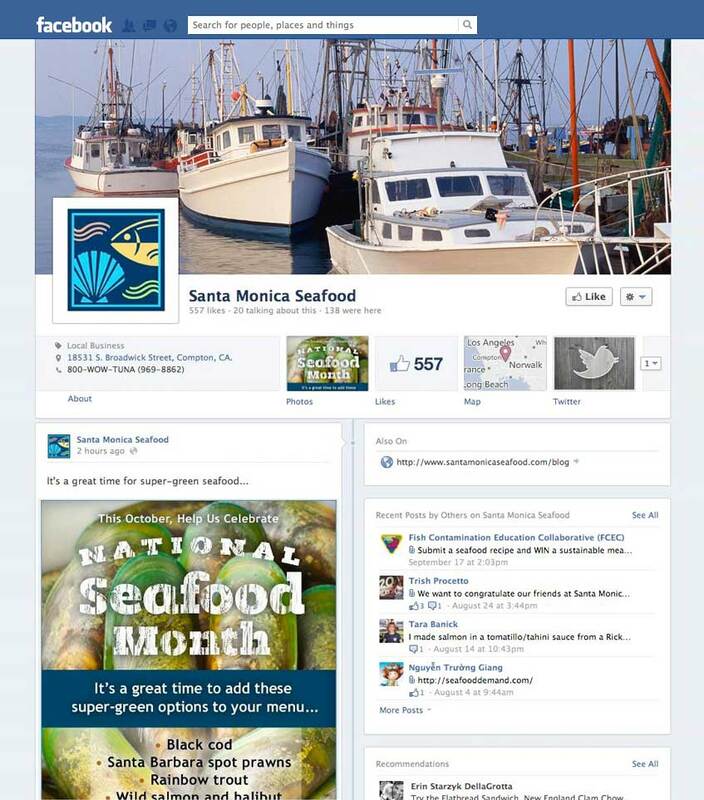 The Challenge: We had assisted in the creation of Santa Monica Seafood’s initial Facebook page, and with Facebook’s new timeline format the page was not displaying optimally. The Solution: Evolution Design created custom tab buttons and an image for the Facebook Cover, to be swapped out monthly to highlight events and seasonal products. 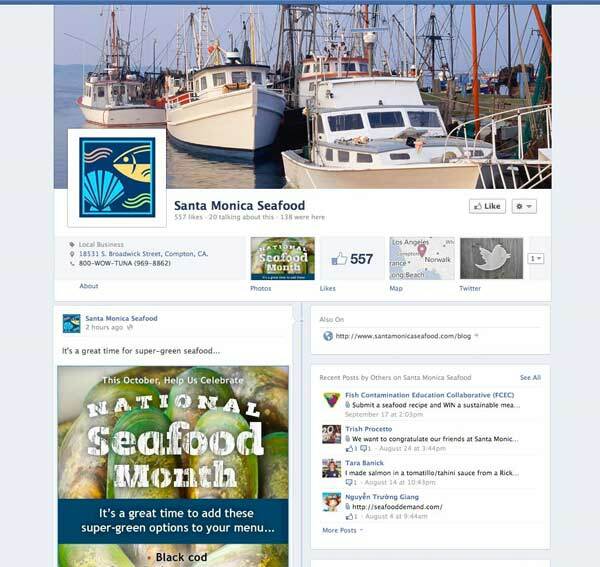 To boost page engagement we added branded visual content. We assisted with developing a social media strategy, employee guidelines, implementing new tools and approval systems, and team training for marketing and operations staff.